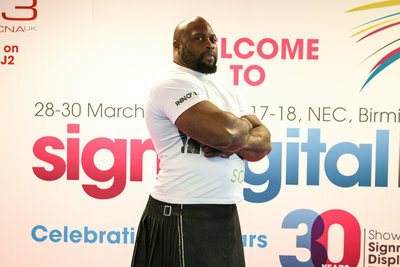 The face of their high strength products, World Strongman Mark Felix, pulls in the punters at Sign & Digital UK 2017. 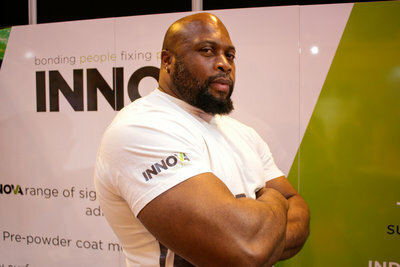 [06/04/2017] Lancashire based adhesives firm, Innova Solutions, and their sister company, NovaDURA, were joined by none other than 11 times World Strongest Man competitor, Mark Felix, at the Sign & Digital UK event in Birmingham last week as they championed their high strength product range. 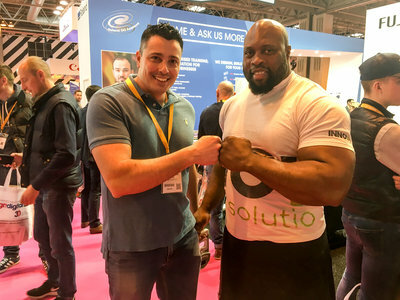 As the face of Innova Solutions, Felix’s appearance made the Sign & Digital UK’s 30th anniversary one to remember, putting his world record holding grip strength to the test in challenges with visitors and exhibitors alike while delighting fans with photos and selfies. 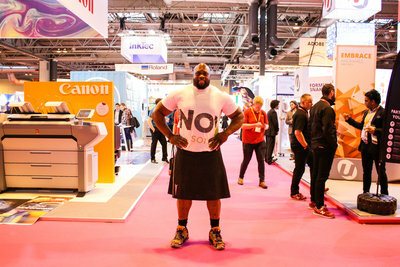 The spectacle of strength helped to draw attention to the pioneering products Innova were showcasing, including pre-powder coat metal bonding, low surface energy (LSE) bonding tapes and products that can build a durable structural bond without leaving read through. It was also the perfect platform for sister company, NovaDURA, to launch primaDURA Glow - the only anti-vandal and anti-graffiti photoluminescent signage to satisfy the demanding requirements of Transport For London/London Underground Ltd; S1085: Issue A4: 2016 for Fire Safety Performance of Materials in Rail Stations and Tunnels Infrastructure. Media pack, including images and video content, can be found here [link to media pack]. Glenn Dunleavey is available for comment. We make. We market. We build. We brand. We’re a full service integrated marketing agency based in Preston, Lancashire. 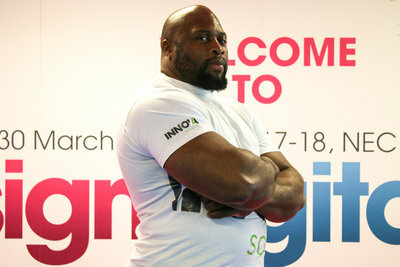 3ManFactory is a creative design and communications company. 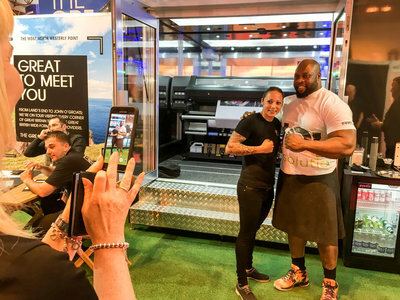 Some call it integrated marketing and that’s fine, but what it really means is that we can plan it, design it, build it, market it and measure it. Social, web, graphics, PR and marketing. It’s what we do best. 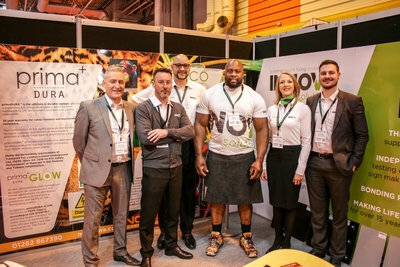 In the midst of what has been a successful year for Lancashire based adhesives firm, Innova Solutions, they’ve been awarded ‘B2B Marketing/Integrated Communications Campaign’ alongside their marketing agency, 3ManFactory, at the Prolific North Awards 2017. 3ManFactory are looking to disrupt the public relations market with their own custom press room solution. After looking at what was commercially available the Preston based integrated marketing firm decided they could do better and set about creating their own custom solution. Plans currently are to utilise this to benefit their clients but in the future they may look at making this solution available to other agencies.